Nendoroid More: After Parts 01 will consist of Angel and Devil accessories. 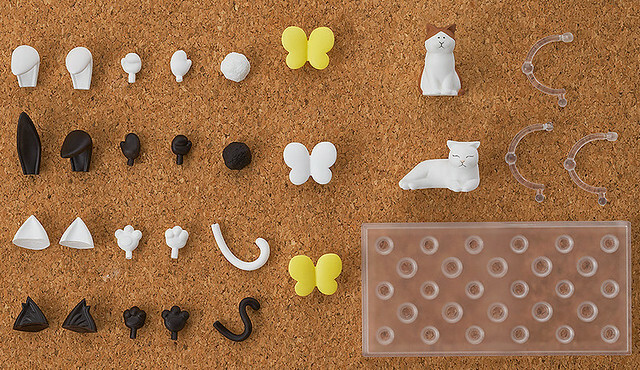 Decorative parts for Nendoroids, making them even cuter! The Nendoroid More series was created to make Nendoroids even more enjoyable, and a new addition to the series are ‘After Parts’, specially designed decorative parts for your Nendoroids! The first set of parts includes cosplay parts to transform your favorite Nendoroid into either a devil or an angel. In addition, three different musical notes, a sun, moon and two star parts are all included in the set! 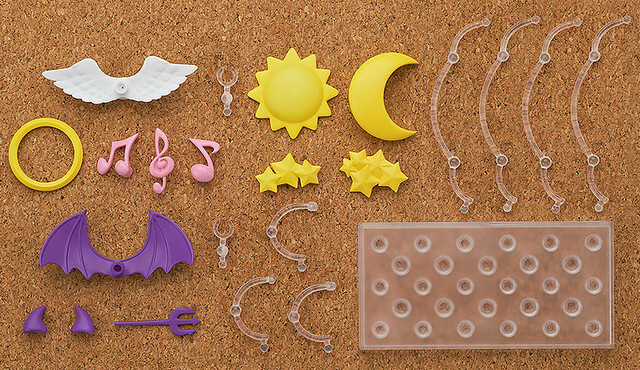 This decorative parts set is priced at 1000 Yen, scheduled for November release. Meanwhile, Nendoroid More: After Parts 02 will consist of cat and bunny accessories. The second set of decorative parts for Nendoroids, making them even cuter! The Nendoroid More series was created to make Nendoroids even more enjoyable, and a new addition to the series are ‘After Parts’, specially designed decorative parts for your Nendoroids! The second set of parts includes cosplay parts to dress up your favorite Nendoroid in a cat or bunny costume! In addition, two cats and three butterflies are all included in the set! Similar to the After Parts 01, this one is also priced at 1000 Yen with the same release schedule. This entry was posted in News and tagged after parts, more, nendoroid. or evaluation on a topic. bar, Details pane, Preview pane, and Navigation pane. They’re really convincing and can certainly work. Still, the posts are very short for newbies. afterward its up to other users that they will assist, so here it happens. within the field about cyberbullying and STIs on Facebook. I am presently experiencing the identical issues and frustrations with facebook. wonderful works guys I’ve added you guys to blogroll. representing 30 % of scams on Facebook. do it! Your writing style has been amazed me. Thank you, very great article. offer one thing again and aid others like you helped me. like domain registration, shared website hosting, Virtual Private Server (VPS), and public cloud services.